For those of you who have not heard, the 40th SCGS Annual Summer Workshop will be held July 13-14 at the South Carolina Department of Archives and History in Columbia, SC. This is an event you will want to be sure to attend! So register today! 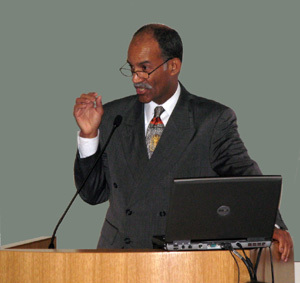 One of the presenters will be Tony Burroughs, a professional genealogist, author, and lecturer. There has been no time where I have attended one of his presentations and not come away with new insights into my own research. iPads and iPhones are the hottest gadgets around. Genealogists are using them in dozens of ways to do genealogy anywhere and everywhere in unique ways. With 500,000 apps and growing, this talk may change your phone service. Since northerners assisted Blacks during and following the Civil War, many records are found in New England where the Yankees lived. Learn this hidden treasure trove of sources. What are the hidden messages of government abbreviations, notations and bureaucracy in pension files? Understanding the documents, the pension process, and processing the information will squeeze the most out of a military pension file. Have you searched in every courthouse, every library, and every archives and still haven't solved your riddle? One of the keys to success in genealogy is doing more with what you have. Sometimes the pieces are there, we just need to look at them in different ways. Reorganizing and analyzing may solve your riddle. Why is it important for parents and grandparents to share their oral history? Where did our family come from? What is our family about? "The stories parents and grandparents have in their head are not on the internet, found in a library, or found in the courthouse. If they don't tell their stories, they take the stories with them to the grave to be buried forever. How many questions do you have for your great-great-grandparents that may never be answered? Telling their stories are important for family history and community history. Unfortunately, all too often we only have the letters, diaries, interviews and autobiographies of wealthy people who lived in the community. This leaves a very biased view of community history. And while things are constantly changing, it is important to know the past in order understand the present, and plan for the future." What project that you were involved with in the community had the most impact on you, and why? "I could name several community projects that had great impacts on me. Probably the first was being a 7th grade sit-in student to integrate Chicago Public Schools. My mom was an organizer and at a young age I learned the power of community organizing, civil disobedience, non-violent protest, sacrifice and the power of the people. I also learned about institutional racism and the power of the press. This early experience probably set the stage for me wanting to help other people." "Another community project that had a great impact on me was becoming vice-president and then president of our local, Afro-American Genealogical and Historical Society of Chicago. I was able to use my organizing and management skills to grow the membership and finances of the organization and raise its public profile locally and nationally. In giving back to the genealogy community, it in turn opened new doors for me to the national stage of genealogy. That was not part of the plan." What historical event in the life of an ancestor had the most impact on you, and how so? "Learning my paternal grandfather, Attorney Asa Morris Burroughs, became president of the Cook County Bar Association in 1928 is one of the historical events that had a great impact on me. I thought Granddad was an average lawyer. We lived in the same apartment building when I was growing up, and my father never mentioned any of Granddad's accomplishments. Once I learned he rose to the height of his profession it gave a huge since of pride in my family history. It taught me that even though you live with someone doesn't mean you know them. It also taught me that researching recent ancestors is just as important as researching ancestors many generations in the past. I continued to research Granddad and developed an even greater respect for him when I discovered he dropped out of law school and dropped out of high school. His father died when Granddad was ten years old, and when his mother became ill, Granddad dropped out of high school to take care of her. He landed a job as a messenger boy in a law office and worked his way up to being a lawyer. Those are big shoes to fill." I attribute much of my own success and love of oral history and research to the class I took years ago at Chicago State University where Tony was the instructor. Because I applied the principles he taught with regards to conducting oral history interviews, I have recorded, extracted, preserved, and researched interviews of loved ones who now are long gone. Those interviews still are guiding me to historical documentation. In that day, I also interviewed my father-in-law. He gave me names of loved ones generations past. I am the only person with that information, and I am still discovering people from that interview (Just last night, I found the marriage of Jacob McClure) My daughter has the advantage of knowing her history on her maternal and paternal side. Over the years, Tony has constantly encouraged African Americans to be hopeful about finding documentation and has mapped the process, and I am especially grateful for his revelations about us documenting marriages prior to 1865. I am actually making those discoveries now. So thank you, Tony! Thank you so much for this post. I surely agree that stories are essential to knowing the past. Without stories, there are no "characters," which means no personalities, no values, no attitudes about culture, no courage, no questions a family lives with. Every family has stories it should pass on in order to create an orientation and perspective for their descendants. The stories of those families supposedly "low" in society's hierarchies are just as meaningful, just as rich, just as moving as the stories of the supposedly "high" families. I heartily agree with you! Stories are the thread of life that move us from one generation to the next. Thank you for sharing your thoughts, Mariann. They are always appreciated. Stories have a way of connecting us all.